In 2013, Lena Zaidel (b. 1962) – who immigrated to Israel from Leningrad in 1976 and graduated the MGA program at Bezalel Academy of Arts and Design – staged her exhibition "Street Wolves" at the Jerusalem Artists´ House. Large-scale paper sheets were hung conspicuously on the chamber´s concrete walls on which more and more packs of wolves raiding Jerusalem were drawn (in dry pastel and charcoal). 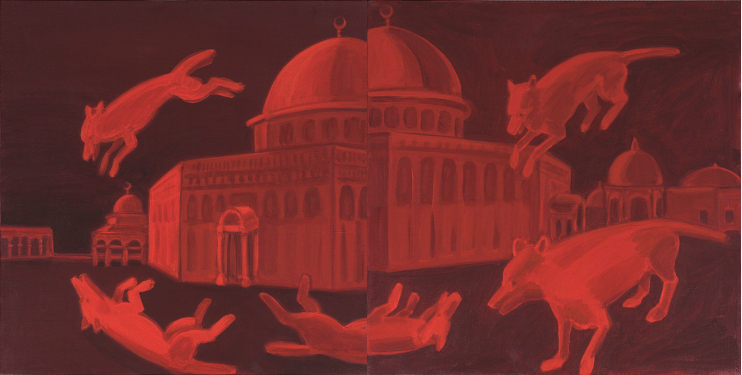 The paintings belonged to the series All the Places are Holy created in 2006, in which the artist depicted her wolves, with strikingly realistic skill, close to the city´s limits or in the city center (the Mashbir building, a gas station, the water fountain in Gan Hapa´amon, etc. ), and most of all – in the dumps she positioned adjacent to the Dome of the Rock, in the Nablus Gate car-park, in the Western Wall concourse, etc. 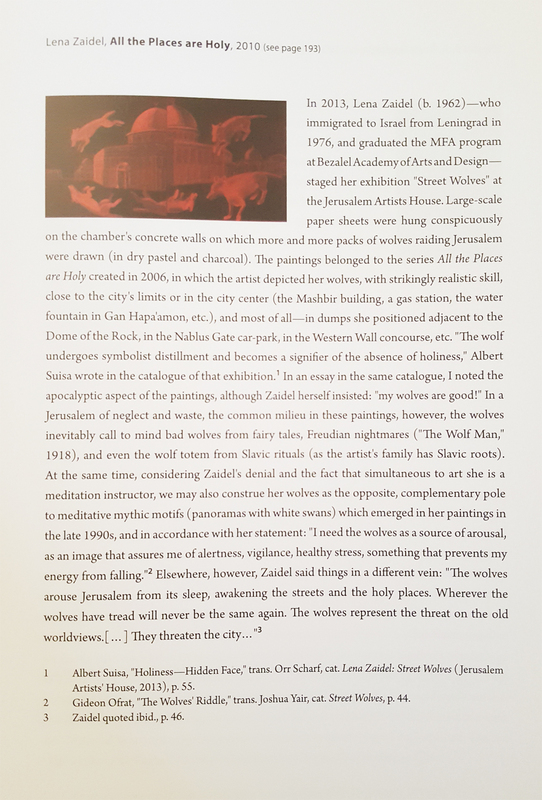 "The wolf undergoes symbolist distillment and becomes a signifier of the absence of holiness," Albert Suisa wrote in the catalogue of that exhibition. 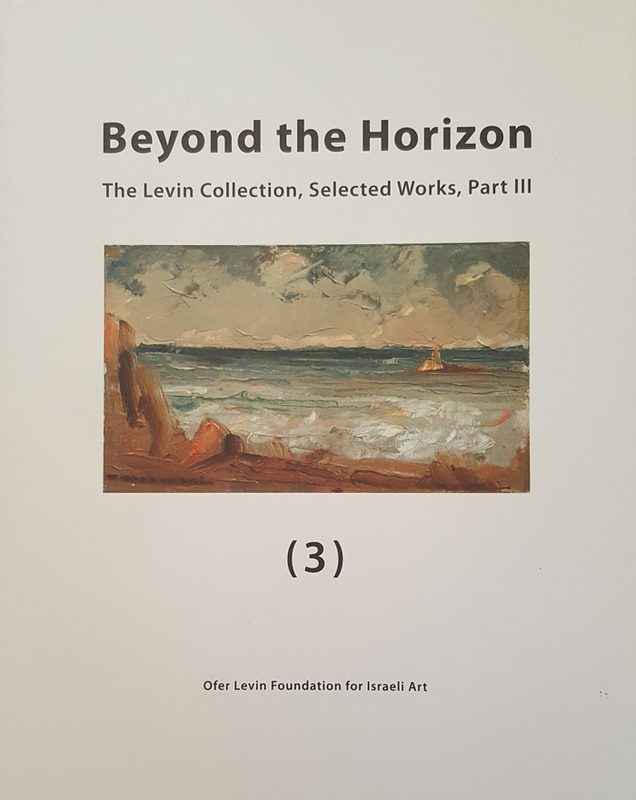 In an essay in the same catalogue, I noted the apocalyptic aspect of the paintings, although Zaidel herself insisted: "My wolves are good!" In a Jerusalem of neglect and waste, the common milieu in these paintings, however, the wolves inevitably call to mind bad wolves from fairy tales, Freudian nightmares ("The Wolf Man," 1918), and even the wolf totem from Slavic rituals (as the artist´s family has Slavic roots). At the same time, considering Zaidel´s denial and the fact that, simultaneous to art, she is a meditation instructor, we may also construe her wolves as the opposite, complementary pole to meditative mythic motifs (panoramas with white swans) which emerged in her paintings in the late 1990s, and in accordance with her statement: "I need the wolves as a source of arousal, as an image that assures me of alertness, vigilance, healthy stress, something that prevents my energy from falling." Elsewhere, however, Zaidel said things in a different vein: "The wolves arouse Jerusalem from its sleep, awakening the streets and the holy places. Wherev the wolves have tread will never be the same again. The wolves represent the threat on the old worldviews. [...] They threaten the city..."